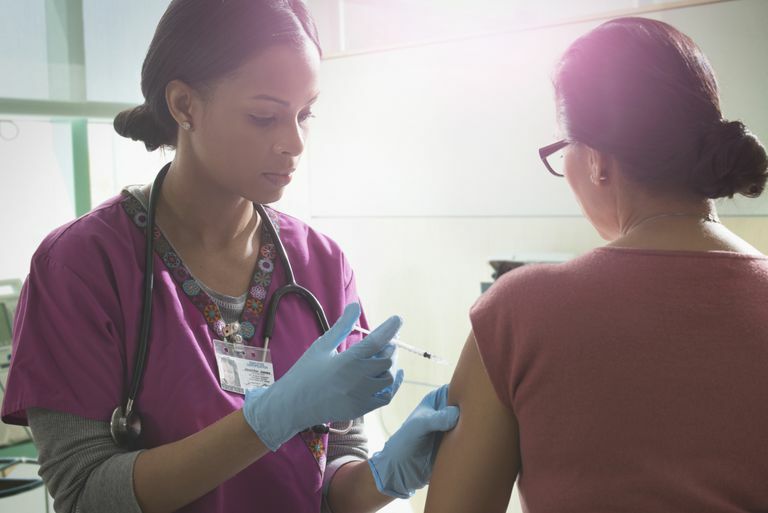 Getting shots is no fun and you have had your flu shot, but should you get the pneumonia shot or pneumococcal vaccine as well? Asthma is a risk factor for the invasive pneumococcal disease — what the pneumonia shot protects against. And while it is not as common as the flu, which you should protect yourself against annually with a flu shot, invasive pneumococcal disease does have serious potential complications. So, yes, it makes sense to prevent the disease altogether by getting the pneumonia shot, if it's recommended for you. Asthma is not one of the conditions that require the additional vaccine. However, if you turn 65 or have one of these mentioned conditions you should discuss it with your doctor. How Come You've Never Needed the Pneumonia Shot Before? A 2008 Cochrane Review stated there was limited information to support vaccination of asthmatics with the pneumococcal vaccine based on available evidence from randomized controlled trials. However, the CDC Advisory Committee on Immunization Practices (ACIP) subsequently voted in October 2008 to recommend the vaccination for all patients with asthma over the age of 18. Why the sudden change? This new recommendation was partially based on new research reports indicating that asthmatics were at increased risk of pneumococcal infections. In a similar study, patients with asthma who were enrolled in Tennessee's Medicaid program TennCare were more than 2 times as likely to develop the invasive pneumococcal disease compared to non-asthmatics. These findings generally support the idea that asthma is a risk factor for the invasive pneumococcal disease. While not as common as the flu, high blood pressure, or diabetes, invasive pneumococcal disease has serious potential complications. Discuss getting the vaccine with your health care provider. T.R. Talbot, T.V. Hartert, E. Mitchel, N.B. Halasa, P.G. Arbogast and K.A. Poehling et al. Asthma as a Risk Factor for the Invasive Pneumococcal Disease. NEJM 2005 352: 2082–2090. T.V. Hartert. Are Persons With Asthma at Increased Risk of Pneumococcal Infections, and Can We Prevent Them? J Allergy Clin Immunol 122 (2008) 724–72. Y.J. Juhn, H. Kita, B.P. Yawn, T.G. Boyce, K.H. Yoo and M.E. McGree et al. Increased Risk of Serious Pneumococcal Disease in Patients With Asthma. J Allergy Clin Immunol 122 (2008) 719–723.